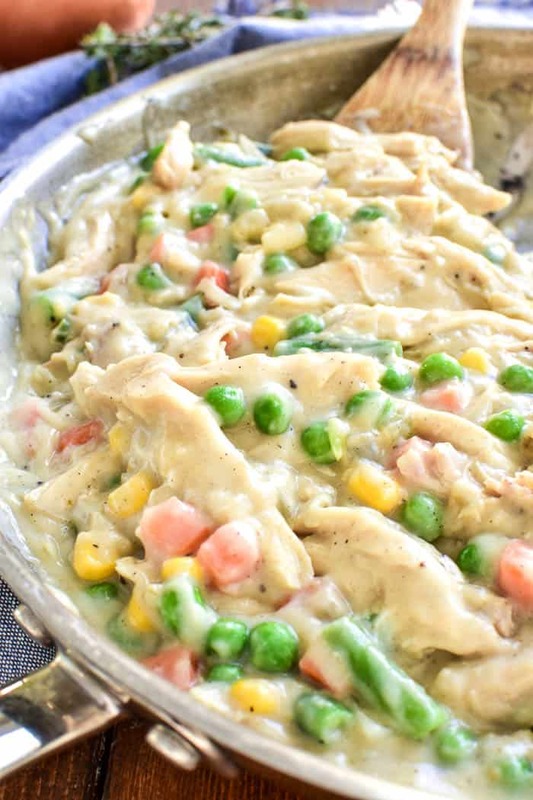 This Easy Chicken Pot Pie is the ultimate family dinner recipe. 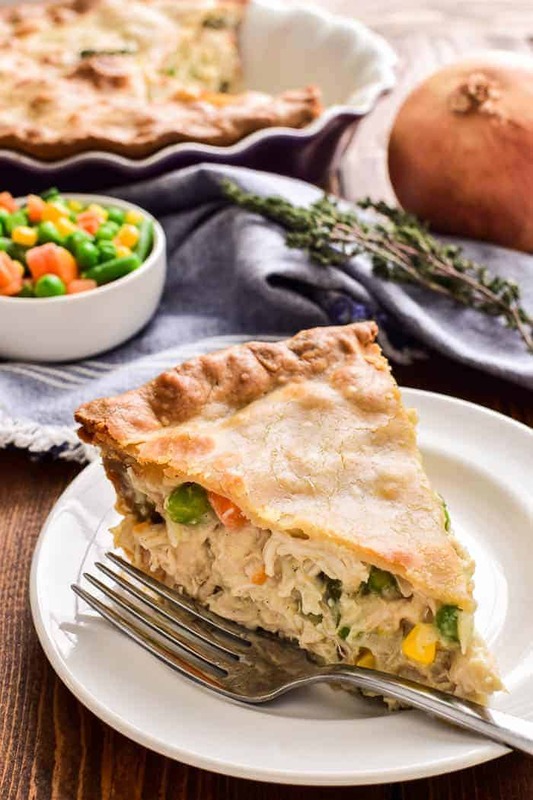 Tender, flaky pie crust stuffed with rotisserie chicken, mixed vegetables, and a thick cream sauce, this pot pie is as easy as it is delicious. 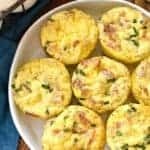 Ideal for making ahead and delicious reheated, this recipe is guaranteed to become a fast family favorite! Ahhh…. pot pie. It really is the ultimate comfort food. Whether big or small, chicken or beef, homemade or store bought….there’s something about pot pie that just feels cozy. Comfortable. Inviting. Amiright? And while I would never speak badly about the little frozen ones you can buy at the store (they were a childhood staple, after all) I will say that once you discover how easy it is to make homemade chicken pot pie, you’ll never go store bought again. Especially when you shop at Pick ‘n Save and take advantage of all the shortcuts. Like Simple Truth Organic pie crusts and frozen mixed vegetables and store bought rotisserie chicken. Yes, yes, and yes, please. 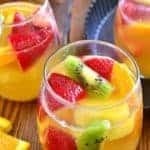 Talk about making an easy recipe even easier! This Easy Chicken Pot Pie is oven-ready in just 15 minutes and fully baked in 45. It’s easy to make ahead and pop into the oven when you get home from work, and the leftovers couldn’t be more delicious. 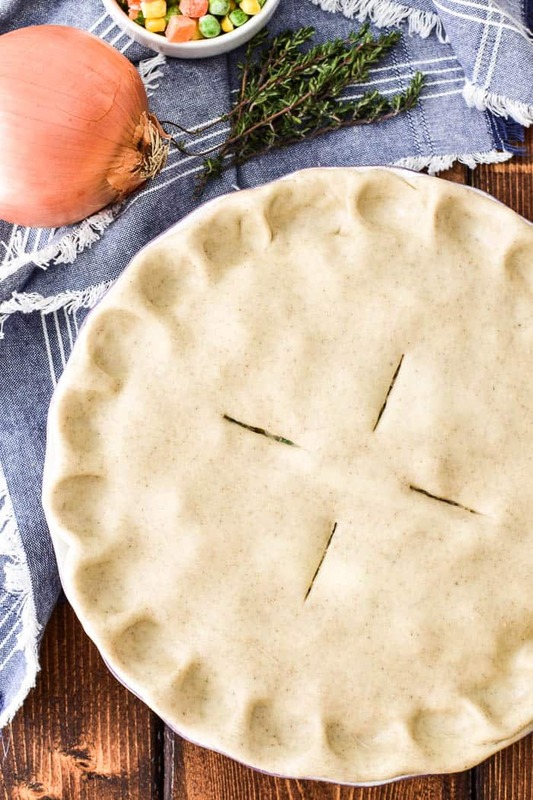 If you love pot pie, you’ll love this quick and easy recipe. Guaranteed to become a favorite! Melt butter in a large skillet. Add onion and cook until tender. Add flour, poultry seasoning, salt and pepper. Cook, stirring, until blended. Add chicken broth and milk, cooking and stirring until thickened and bubbly. Stir in chicken and frozen vegetables. 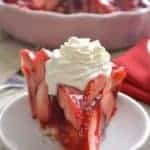 Spoon mixture into a pie pan lined with crust. Top with second crust; seal and flute edges. Cut slits in crust. CAN YOU USE FRESH VEGETABLES IN POT PIE? Yes, you can absolutely substitute fresh chopped vegetables for the frozen mixed vegetables. To replicate the frozen mix, add corn, green beans, carrots, and peas. 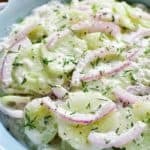 You can also substitute other vegetables, including broccoli, cauliflower, or mushrooms. 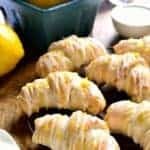 CAN YOU USE HOMEMADE PIE CRUST? Feel free to substitute your favorite pie crust recipe for the store bought crust, and simply bake as you normally would. As pie crust recipes can vary, be aware of the temperature and timing based on the crust you use. CAN YOU USE CHICKEN BREAST OR THIGHS IN PLACE OF ROTISSERIE CHICKEN? 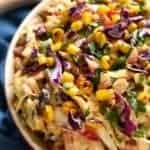 Any type of shredded or chopped cooked chicken will work in this recipe. If your family prefers all white meat, feel free to use chopped or shredded chicken breasts. If your family prefers dark meat, chicken thighs would be a good alternative. 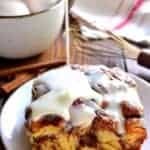 If you’re anything like me, you’re always on the lookout for easy recipes the whole family will love. And this Easy Chicken Pot Pie is one of them! 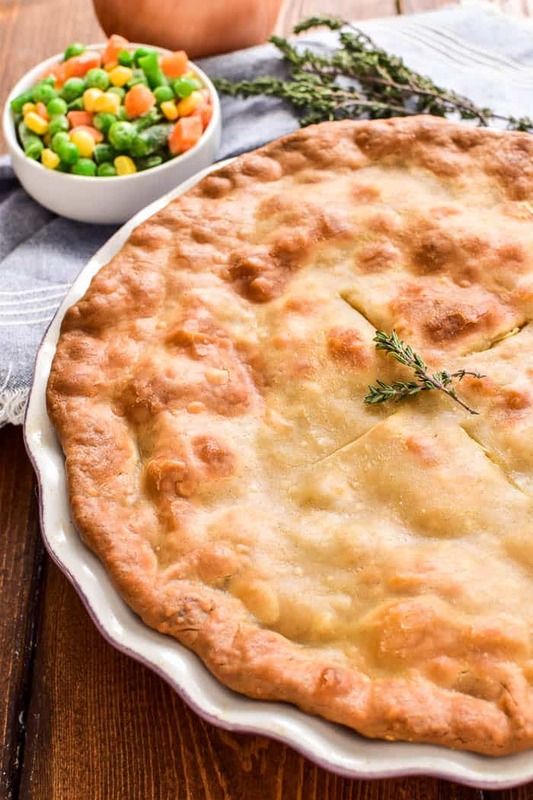 Perfect for busy weeknights or weekend family dinners, this pot pie is one of those recipes you’ll want to make again and again. And one your kids will want, too! And in my book? That’s a major dinnertime win. This Easy Chicken Pot Pie is the ultimate family dinner recipe. 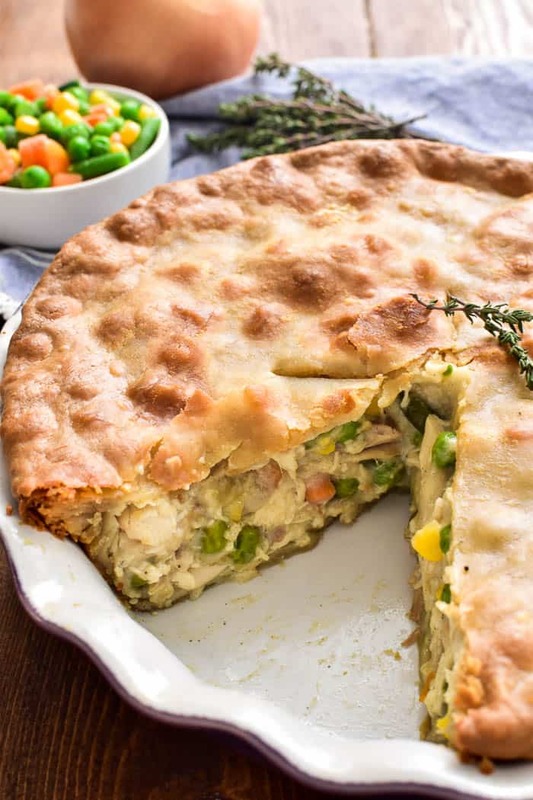 Tender, flaky pie crust stuffed with rotisserie chicken, mixed vegetables, and a thick cream sauce, this pot pie is as easy as it is delicious. 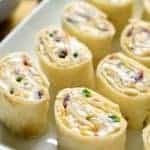 Ideal for making ahead and delicious reheated, this recipe is guaranteed to become a fast family favorite! 1. Melt butter in a large skillet. Add onion and cook until tender. 2. Add flour, poultry seasoning, salt and pepper. Cook, stirring, until blended. 3. Slowly add chicken broth and milk, cooking and stirring until thickened and bubbly. 4. Stir in chicken and frozen vegetables. 5. 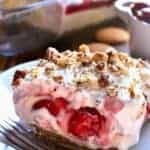 Spoon mixture into a pie pan lined with crust. Top with second crust; seal and flute edges. Cut slits in crust. 6. Bake at 400° for 30 minutes. Remove from oven and cover edges with foil to prevent over-browning. 7. Bake for an additional 15 minutes. Nothing like a savory pie and your chicken pot pie looks delightful!! 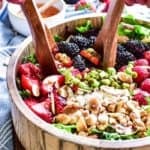 This looks incredibly delicious!! My family would LOVE it!! The ultimate comfort food! So delicious! I am sure that my whole family will love me for this pie! Looks amazing!